Happy 7th Birthday Ri(t)ch Styles!!! When you love what you do, you really don't notice how the time flies by! 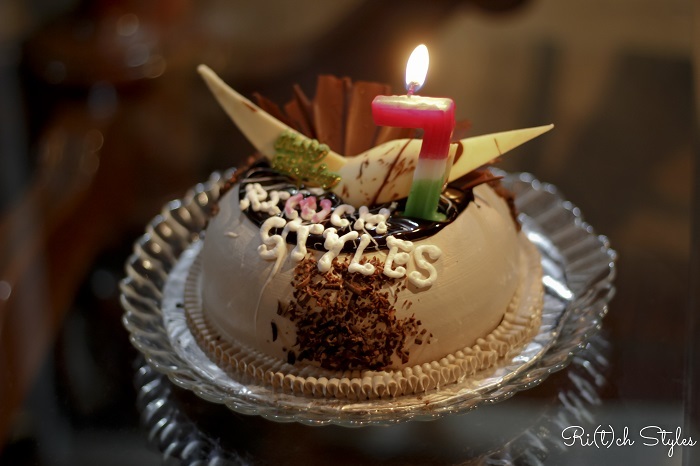 Ri(t)ch Styles turned 7 on the 27th of July, and I still can't believe that it is 7 years since I have been growing this baby from what it started, to what it has become today. 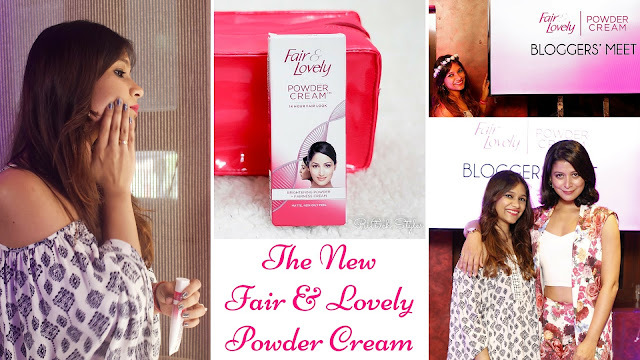 Launch of the New and Innovative Fair & Lovely Powder Cream! It may come as shocker to most of you but according to a study, an average mother gets only 17 minutes of ‘me time’ each day for herself. This however wouldn't shock most mommies like me because I'm sure we all can count those 17 minutes on our fingers ;-) Motherhood can mean a lot of changes but looking good needn't take a hit as that should be one of the few things that we must focus on in our ME TIME. I had shared a 5 minute Mommy Make-up tutorial with you guys in the past to show you how possible it is, but my latest discovery is going to make that time even shorter, as well as reduce the repeated need of touch-ups thus saving so much effort and time. I am talking about the new Fair & Lovely Powder Cream that combines brightening powder with fairness cream which works its effect for up to 14 hours while keeping the skin nourished, and gives you a flawless look throughout the day without the need for touch ups, thus giving you a set look for the whole day. 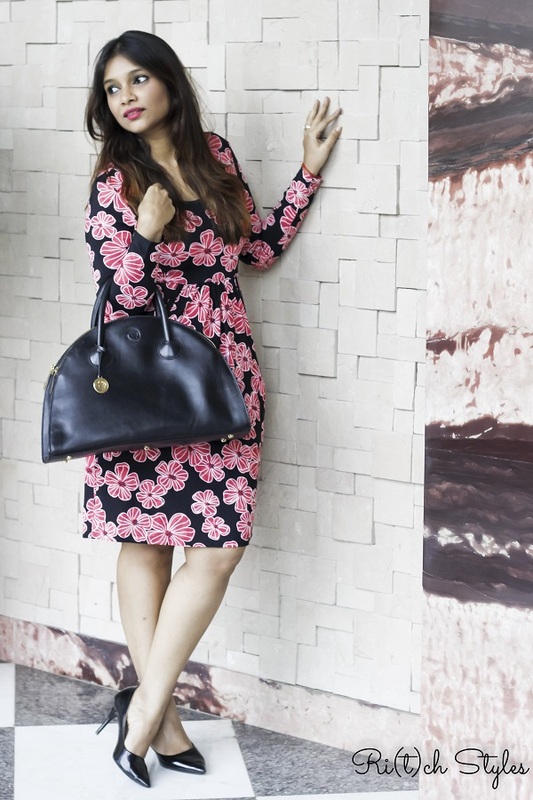 My Definition of Power Dressing! 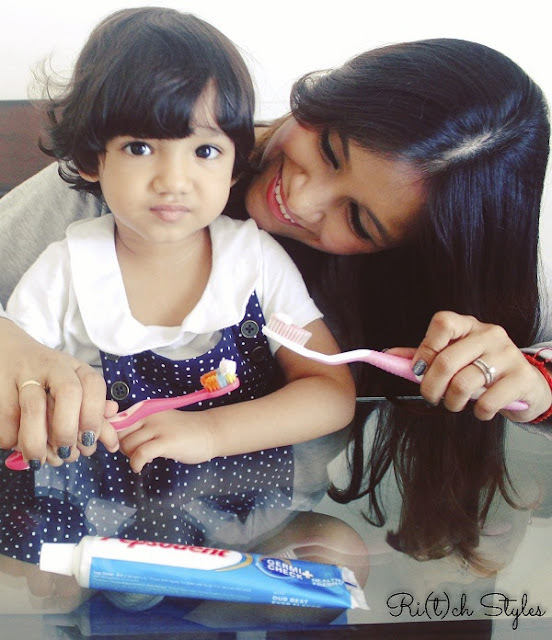 Aryaa is a very excited kid when it comes to anything to do with brushing. Doing 'EEEEEE' (brushing in her words) twice a day is a must for her. If I would permit her, she would brush after anything that she eats, which of course I don't allow. However brushing twice a day is important to maintain good oral hygiene for anyone, especially kids. 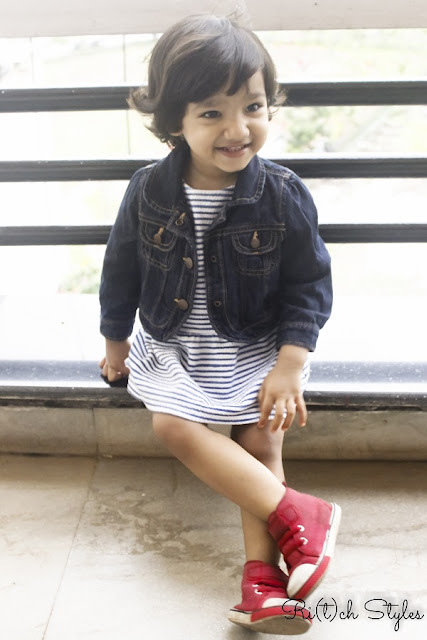 It is essential to establish an oral hygiene routine early for your kids to ensure the development of healthy gums and strong teeth, in order to avoid tooth problems in the future. Like it is said, habits inculcated from the initial ages are the ones that stay forever. Graceful, beautiful and elegant - A saree is the most timeless piece that an Indian woman can have in her wardrobe. 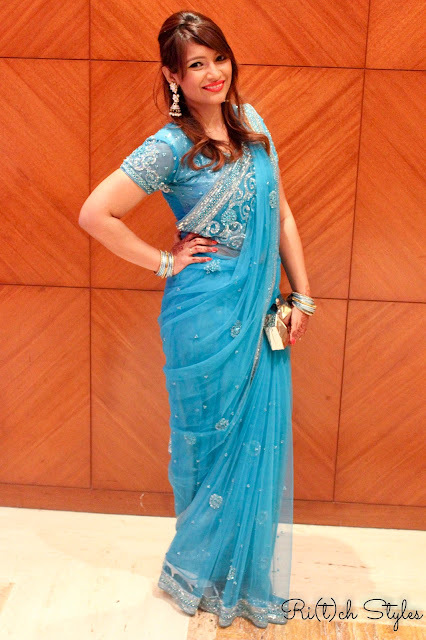 It is 6 yards of absolute femininity that embraces a woman's curves in the most poised manner. While innovations in the style of sarees have been happening with time, I still love the classic style and it is a must wear for me on special occasions. Dream.. Believe.. 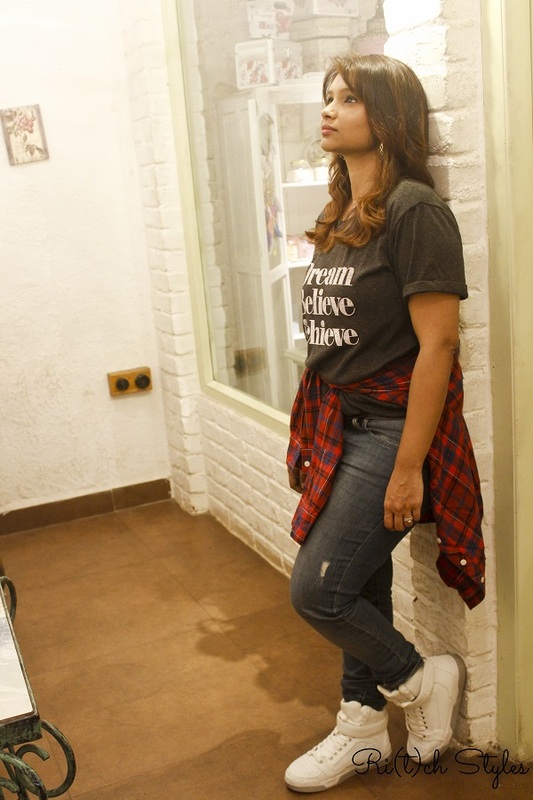 Achieve - 7 great years of Blogging! Lakmé launches a new collection every season of Lakmé Fashion Week and this year at the Summer/Resort 2016 edition, they launched the new Lakmé Absolute Illuminate Collection, a specially crafted range of illuminating makeup and skincare products inspired by shimmer. 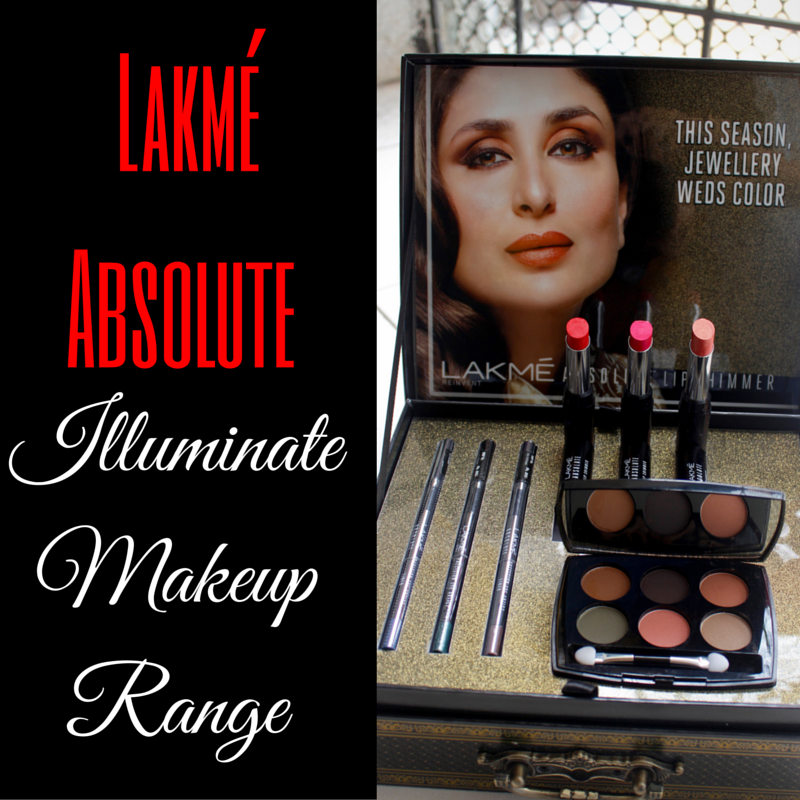 In this post I am going to review the makeup range as Lakmé sent me a lovely box with some of the products from the collection. I love shimmery and metallic makeup and using this range has been a delight.